You receive 16 individual designs – small, but intricate. 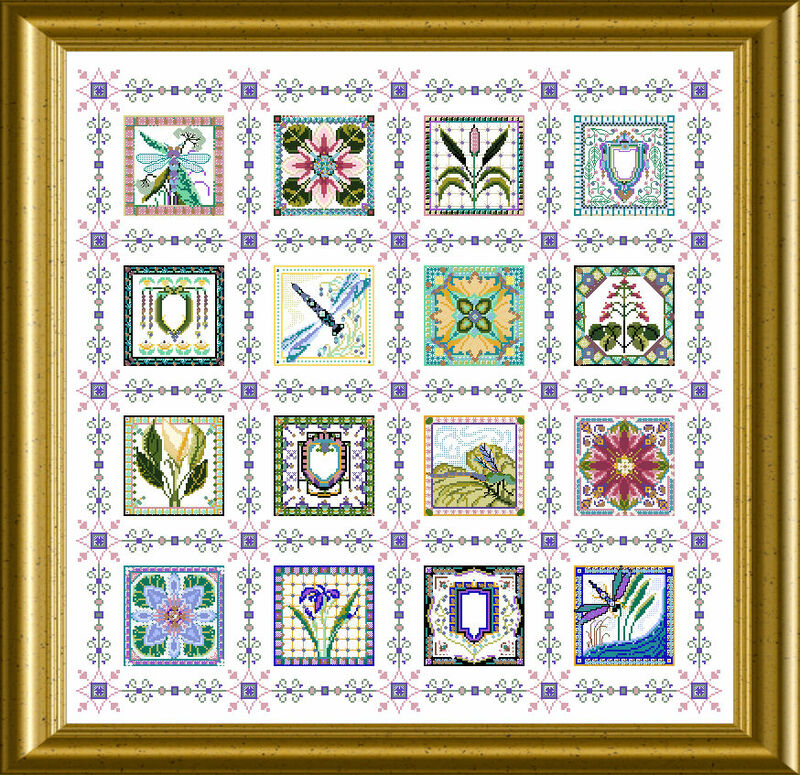 Each can be stitched with the ornate frame – or just “plain”. You can even add the more intricate extra outer frame too – and arrange it in a crib size coverlet or afghan. You can sort them horizontally or vertically in rows of 4 and work kind of a bellpull etc. celtic background, which can be personalized by the added alphabet…. 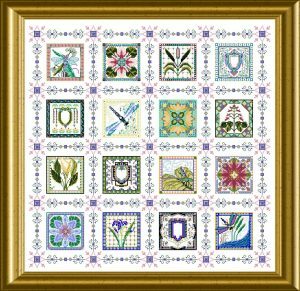 in Log-Cabin style or other – and sew a beautiful heirloom piece – a Quilt ! Whatever you choose to do, you will surely enjoy the variety of topics, stitches, threads and embellishments. 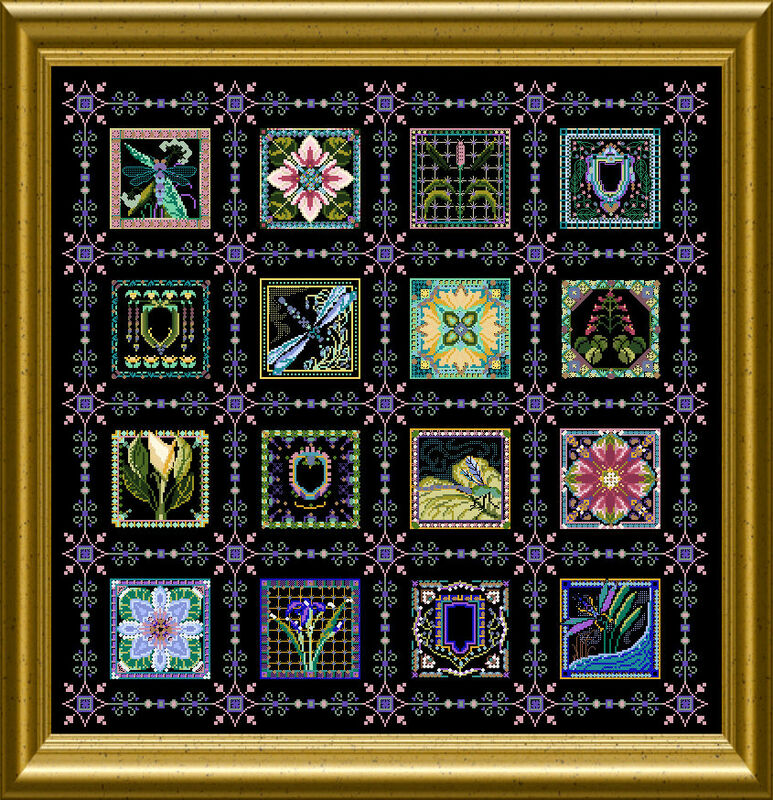 Beautiful threads are used and besides cross stitch you will work well-explained Special Stitches !